The Sustainable Forestry Initiative® Inc. (SFI). SFI® Inc. is a sustainability leader that stands for future forests. SFI is an independent, non-profit organization that provides supply chain assurances, delivers conservation leadership, and supports environmental education and community engagement. SFI works with the forest sector, brand owners, conservation groups, resource professionals, landowners, educators, local communities, Indigenous peoples, governments, and universities. SFI standards and on-product labels help consumers make responsible purchasing decisions. Additionally, SFI oversees the SFI Forest Partners® Program, which aims to increase supply of certified forest products, the SFI Conservation and Community Partnerships Grant Program, which funds research and community building, and Project Learning Tree®, which educates teachers and youth about forests and the environment. SFI Inc. is governed by an independent three chamber board of directors representing environmental, social, and economic sectors equally. SFI believes caring for forests improves everyone's quality of life. Learn more: sfiprogram.org. The SFI program responds to local needs and issues across North America through 34 SFI Implementation Committees at the state, provincial or regional level. The Alabama Forestry Commission is part of the Alabama SIC (Alabama Forestry Association). This unique grassroots network that involves private landowners, independent loggers, forestry professionals, Indigenous people, local government agencies, academics, scientists, and conservationists. 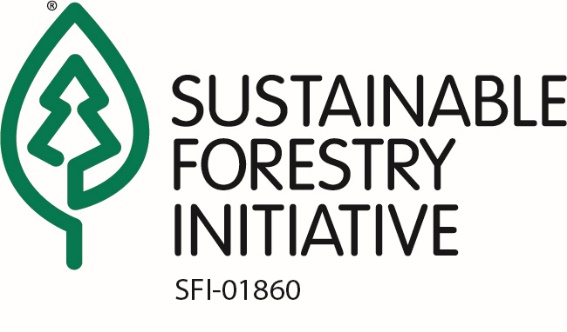 SFI Implementation Committees promote the SFI forest standard as a means to broaden the practice of responsible forestry and achieve on-the-ground progress. There are currently more than 3 million acres certified to the SFI Standard in Alabama.